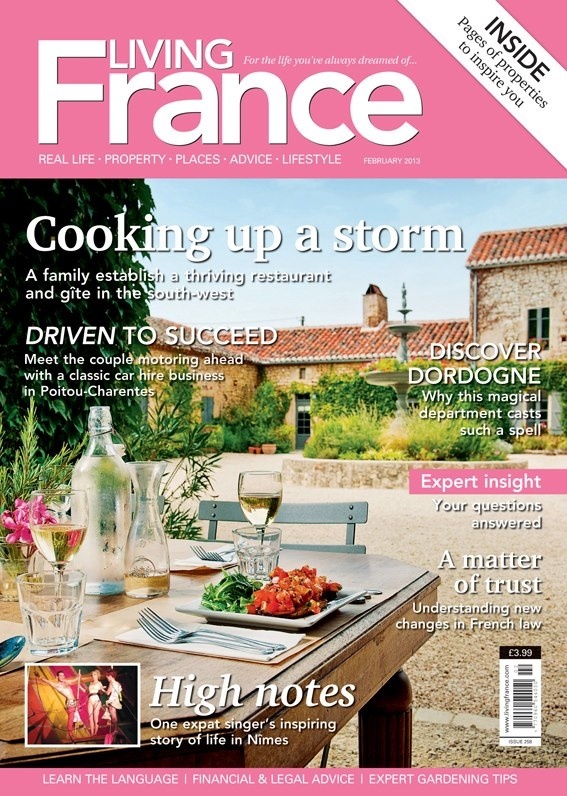 The February issue of Living France is out now. This is especially exciting for us, as we are featured in the article Driven to Succeed! Who would have known back in 2005, when we started buying Living France, that this is now where we would be. Back then we were just fantasy château shopping with friends at the local pub!